A trip to Jamaica (a project of Mission of TEARS in outreach to the community) was made up of mothers and daughters allowing for a shared experience between the two on the mission field. The picture below shows one mother with her daughter unloading a barrel shipped for the Community Pantry. This pantry allows anyone to come in from the community and ask for assistance and receive food, clothing, school supplies or medicine at no preset costs to them. Diane in 63 interacts with women in the Community Pantry. All goods for the Community Pantry were donated and pre shipped. 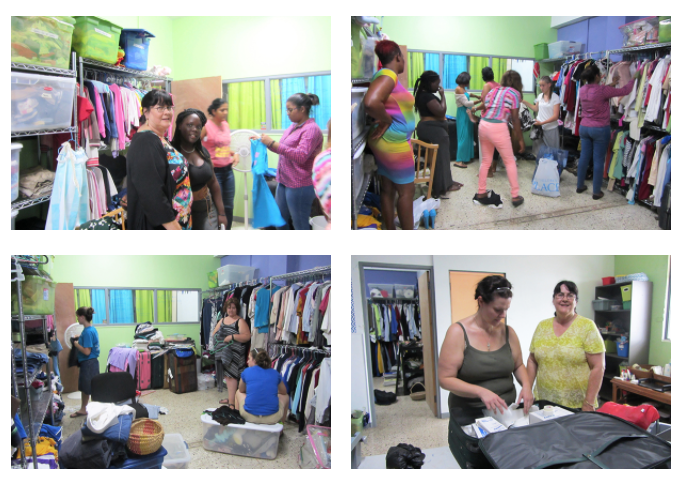 The group worked to set up the shop in a room provided by Generations Church (our partner in this project in Jamaica). Above Left: Members of the group preparing the Community Pantry for opening. It was unusually hot weather in Jamaica during this trip and all the members of the group really did well despite the heat. The younger members made it easier for everyone by providing lots of energy and laughs while completing the work needed to be done. Above Right: Diane is shown with Lynne Lewis reviewing medical supplies carried in. Lynne used her nursing experience to help in this area and also assisted Diane in leadership on this trip representing Mission of TEARS. Pictured Above: Diane is shown with Pastor Dwight and Shanda Pinnock of Generations Church (Our church hosts and partners in Jamaica). The group of mothers and daughters visited New Hope Childrens Home while on this trip. If you or someone you know would like to join the next group and travel with Diane to Jamaica please contact Diane for more details. 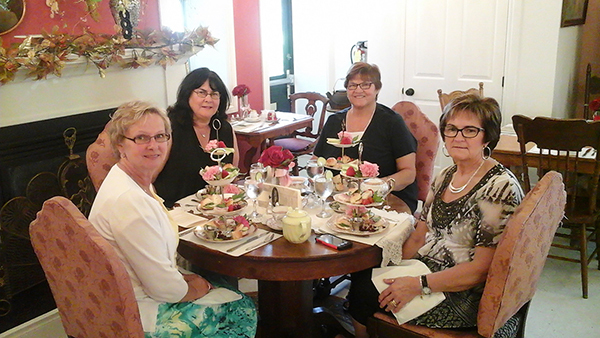 The image above shows Diane Lewis and friends at a Tea Party held at the Best Western Cobourg Ontario. This semi annual is held as a fund raiser and awareness event in sponsorship and support of Mission of T.E.A.R.S. Much of the support raised at the event was used in the lead up to the July 2015 Jamaica trip to offset the costs of shipping two barrels to Jamaica and for goods purchased including school and medical supplies. Those items are always difficult to obtain in Jamaica. 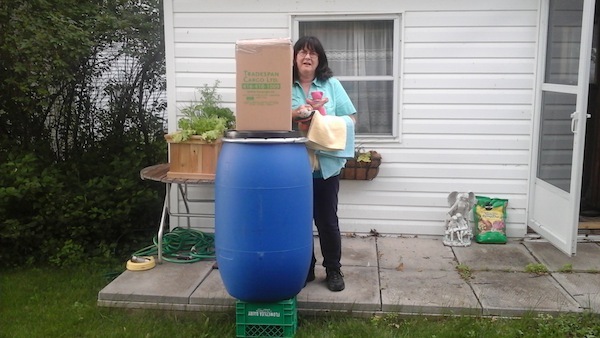 The image above shows Diane here in Canada with one of the large barrels ready to be shipped to Jamaica. This is a economical way to send goods to Jamaica. If you or your church group would like to contribute and sponsor a barrel please contact Diane at Mission of T.E.A.R.S.